Note: The Piano Partner 2 video includes subtitles that describe the functions shown. If subtitle text isn’t displayed, click the gear icon and set Subtitles/CC to the desired language. Most Roland pianos come with an extensive onboard song library that includes classical masterpieces and standard studies from Czerny and Hanon. The new Piano Partner 2 app provides an easy way to navigate and select these songs using your tablet. You can also display the selection as notation for learning and practice. As a song plays, it’s even possible to mute the right- or left-hand part to learn them independently. The app also provides rhythm accompaniment that follows the chords you play. This lets you develop your timing skills in a more interesting way than using a simple metronome (which is also included). It also gives you the experience of playing with a full-band sound, which is great training for playing with other musicians. In addition, the app includes many fun excerises for building music skills. It’s also possible to select different tones and set the keyboard mode to whole, split, or dual right from the tablet. 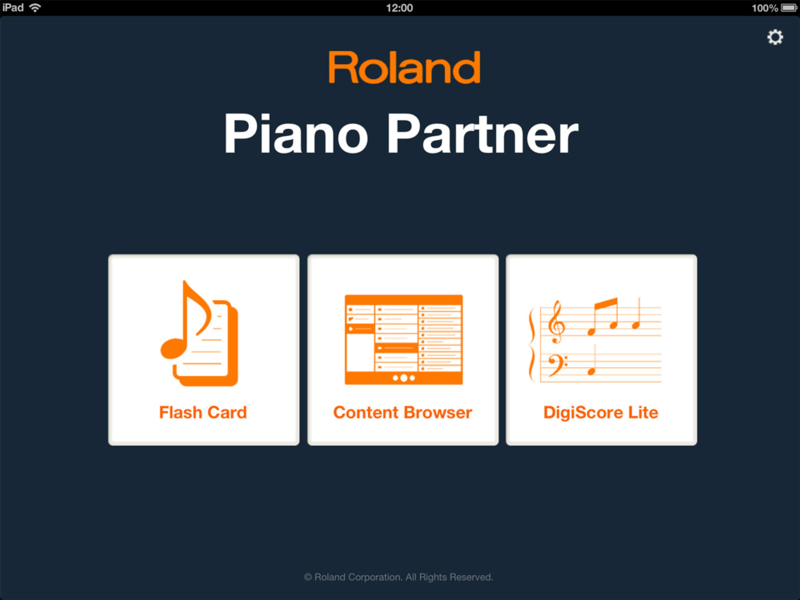 Visit the app’s product page for more information, including an up-to-date listing of compatible Roland pianos. The app is available as a free download from the App Store and Google Play. The Piano Partner 2 app allows you to access songs, display sheet music, play with rhythms, and build music skills. 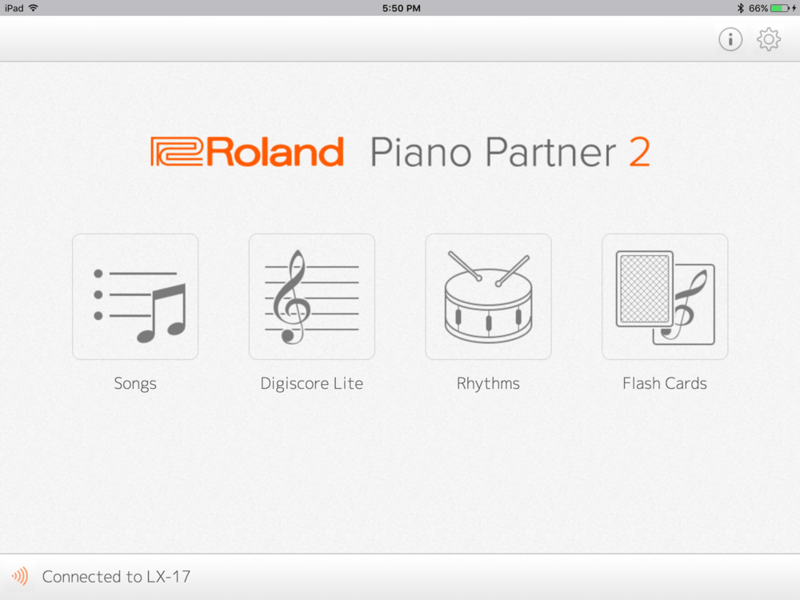 First released in 2012, the Piano Partner app for the Apple iPad offers similar features to Piano Partner 2. You can select tones and songs, view notation, and build skills with Flash Card exercises. The only thing not included is the rhythm function. A wireless tablet connection is possible with a supported wireless USB adapter, such as the Roland/Netgear WNA-150. Alternately, you can go wired with a USB cable via the appropriate USB adapter from Apple. Visit the Piano Partner product page for more information, including a list of all compatible Roland pianos. The Piano Partner piano app is available as a free download from the App Store.